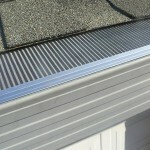 Gutterglove fits on virtually any existing rain gutter. It was designed that way! 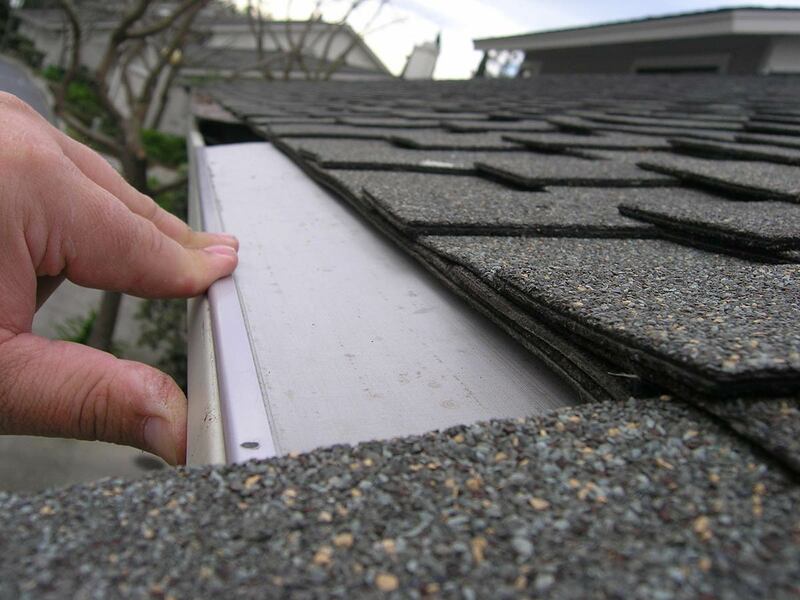 No special brackets or lowering of your gutters is necessary! 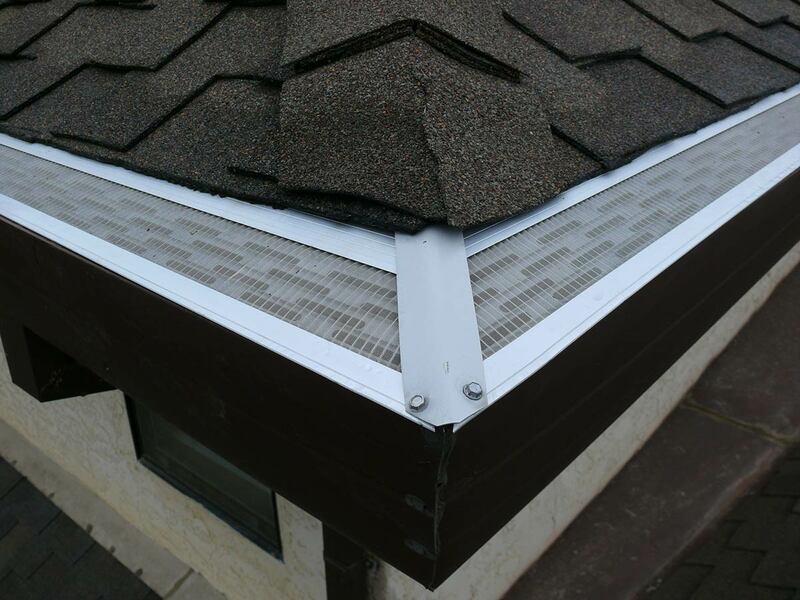 Gutterglove’s specifications were designed so that it simply slips under the roof shingles and fits snuggly to the front lip of your gutter. 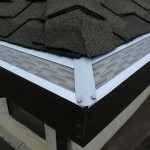 There are no gaps between the gutter and the gutter guard. 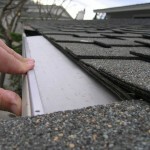 Gutterglove will retro fit on most existing gutters. 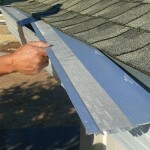 Gutterglove is installed under the first layer roofing and secured onto the front lip of the gutter. 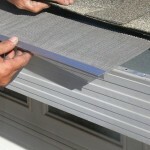 Gutterglove has a 25-year manufacturer’s limited warranty, and a no-clog guarantee. 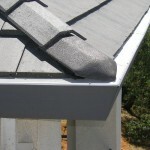 As far as water flow capacity, Gutterglove can handle up to 150 inches of hourly rainfall as demonstrated on water displays at home and garden shows, so it’s great for rain water harvesting. 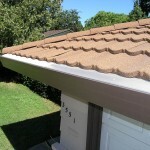 Our research shows that the pounding rain and wind combined with the slope of the roof “splash off” most sand, pollen, leaves, and other debris naturally. 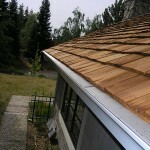 This design feature provides excellent performance year after year. Painted colors are not needed because Gutterglove is not easily seen from the ground. 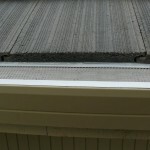 It stands up about 1/8th of an inch above the front lip of the gutter, and is recessed back about 1/8th of an inch from the front lip of the gutter. 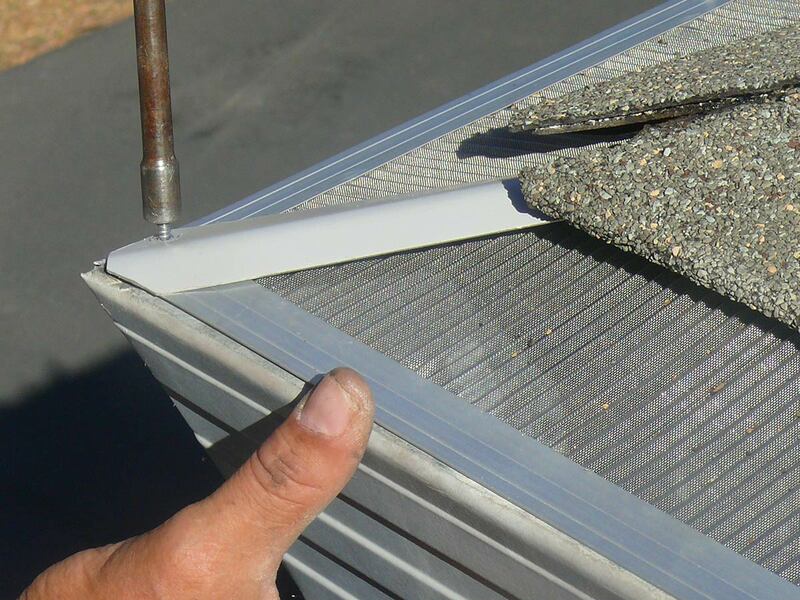 Each 5-foot section seams together with a metal fastener called a “Finger.” A finger is an aluminum fastener that neatly, accurately and firmly locks the sections in place by fitting into “grooves” on each side of the aluminum channel that supports the stainless steel mesh. 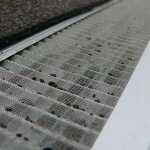 The fingers have a slight pitch upwards along the length of their middle that drains water back into the mesh. 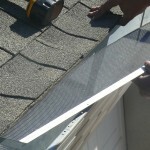 Other companies generally use caulking to seam sections together, which will later crack, tear or peel in the sun. 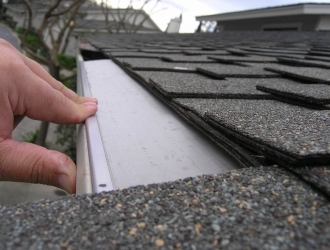 On outside corners we seam the sections together with a fastener called a “Thumb.” Like the fingers, the thumbs are a little larger and decoratively seam together the two sections making a sealed enclosure. 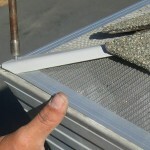 End caps seal off Gutterglove at the end of a gutter. This helps keep bugs, birds and animals out.